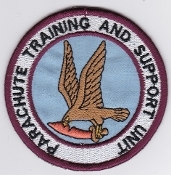 RNZAF Patches Royal New Zealand Air Force Patches Crest Tac Ops Detachments Commemorative Badges. RNZAF Patch 1 Squadron Royal New Zealand Air Force Crest Patch Queens Crown 1975 Bristol 170 Freighter Mk 31 RNZAF Whenuapai Aplq emb on felt cut edge 133 by 101mm five and one quarter by four inches. 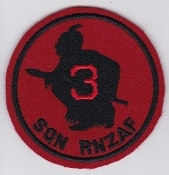 RNZAF Patch 2 Squadron Royal New Zealand Air Force Crest Patch 1984 A 4 Skyhawk RNZAF Ohakea uniform removed Emb on felt merrowed edge 148mm by 95mm five and three eighth by three and three quarter inches. 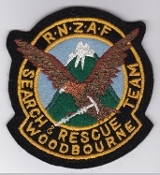 RNZAF Patch Royal New Zealand Air Force GSTS General Service Training School R2 86 Course Patch 1986 RNZAF Base Woodbourne Emb on felt merrowed edge 114mm by 83mm four and one half by three and one quarter inches. 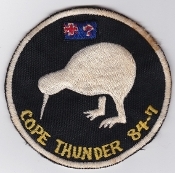 More RNZAF Patches Royal New Zealand Air Force flying suit patches coming soon.